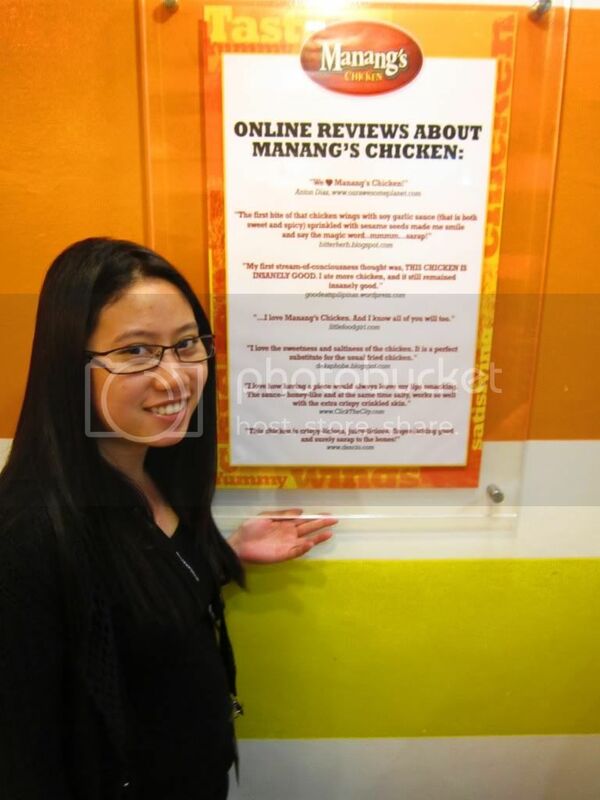 Manang's Chicken has always been one of my lunch destinations, though I usually end up taking out my meal because the place is usually full. It wasn't so surprising since the chicken was soooo addicting! 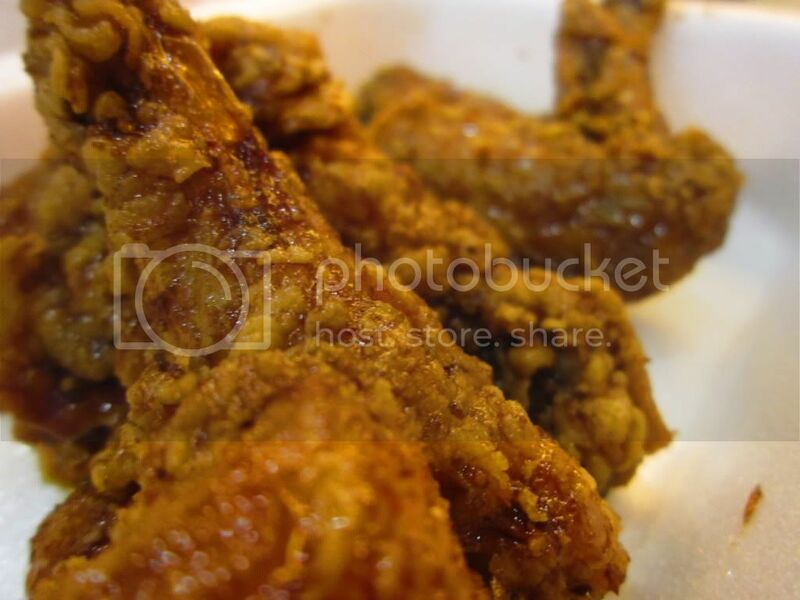 I ordered 4 pieces Wings only meal (Php 129, Php 99 for solo). You may choose Original, Mild Spicy and Extra Spicy. I always prefer the Original since I have low tolerance for spicy food. However, they were still using styro for this branch. Hmm..
can't help using my hands! haha! 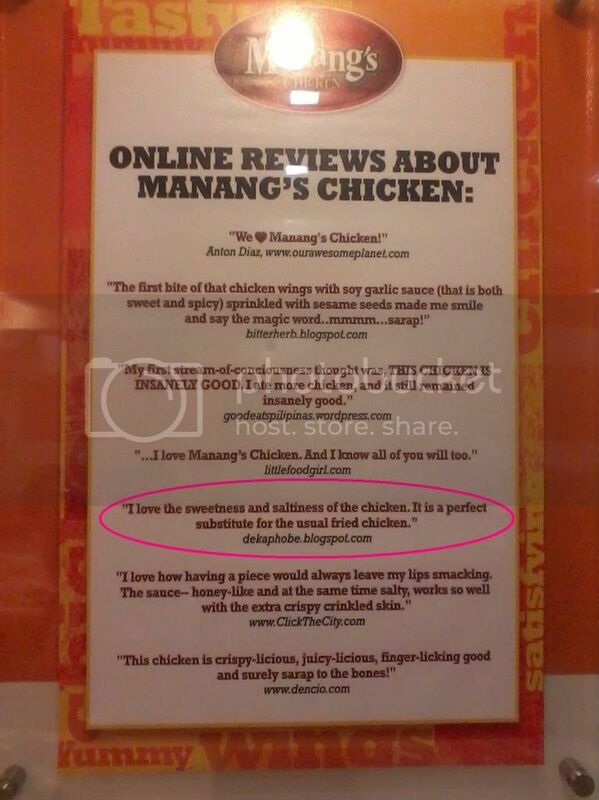 I would always recommend Manang's Chicken to my friends as I've always did since it opened in Ortigas. And so far, I always get good feedback from friends who tried it. Garnet Road corner F. Ortigas St. They should open a Makati branch one of these days. We are so missing out here! We are actually transitioning in terms of styro usage, some of our stores are not using it anymore particularly if you are dining in just like in SM Megamall. By the way, we are opening soon in Glorietta at Food Choices. 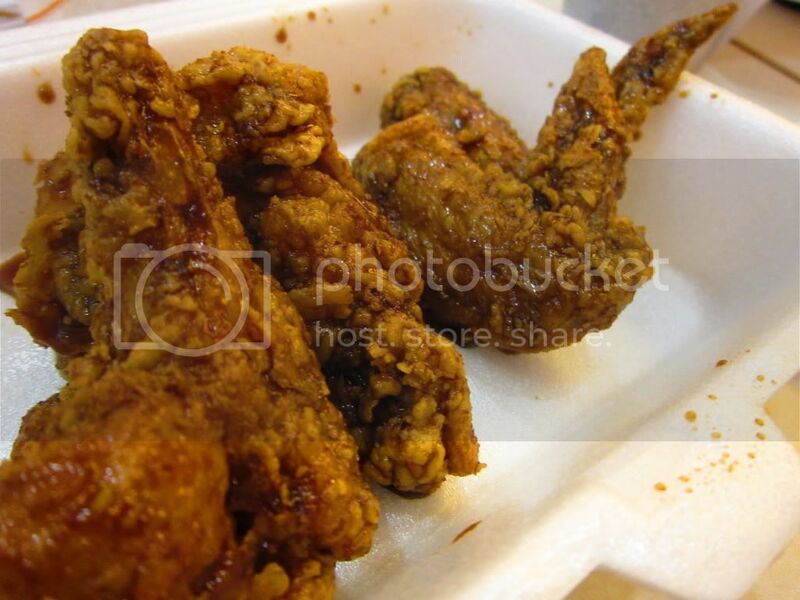 Na-curious ako sa chicken nila.... 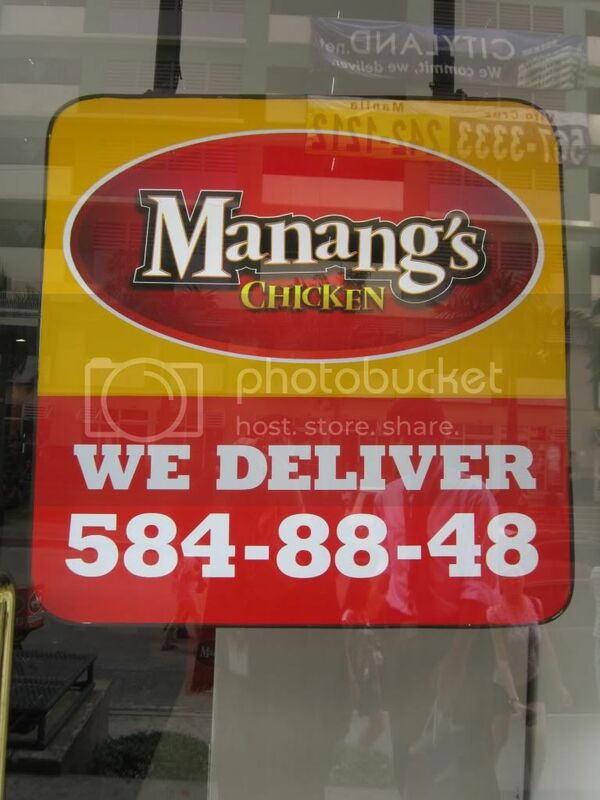 Looking forward to their Makati branch. Hope it wouldn't be too impossible to have them open a branch here in Cebu. Hi Thirdy! Oo nga eh. They even promoted my blog via Twitter and FB. Super touching! :D Let me know pag natry mo na. Natikman ko na yung Manang's!